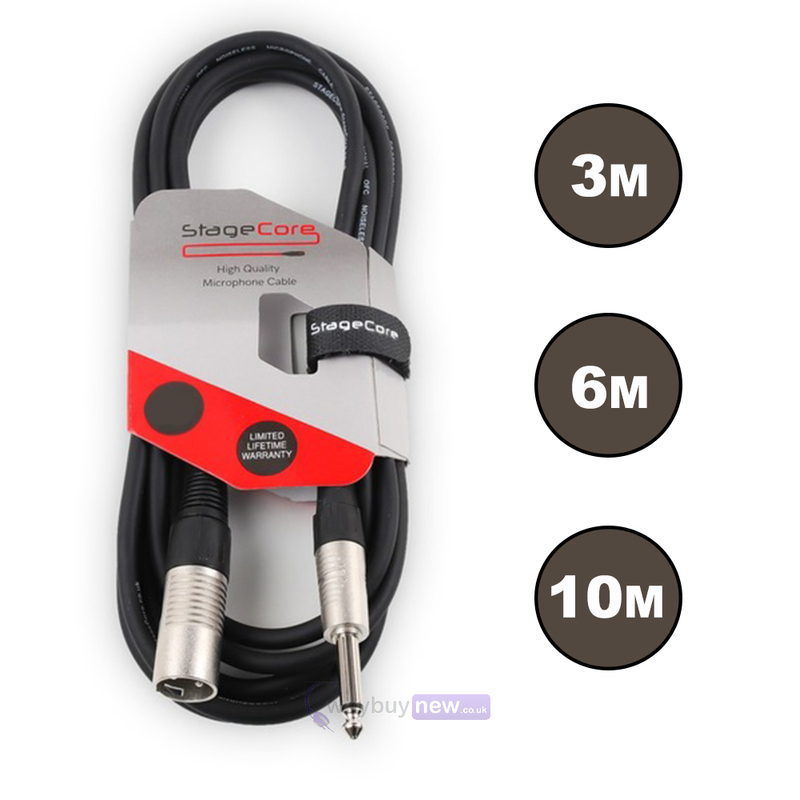 This cable is available in 3m, 6m or 10m lengths, which can be selected from the drop-down menu. 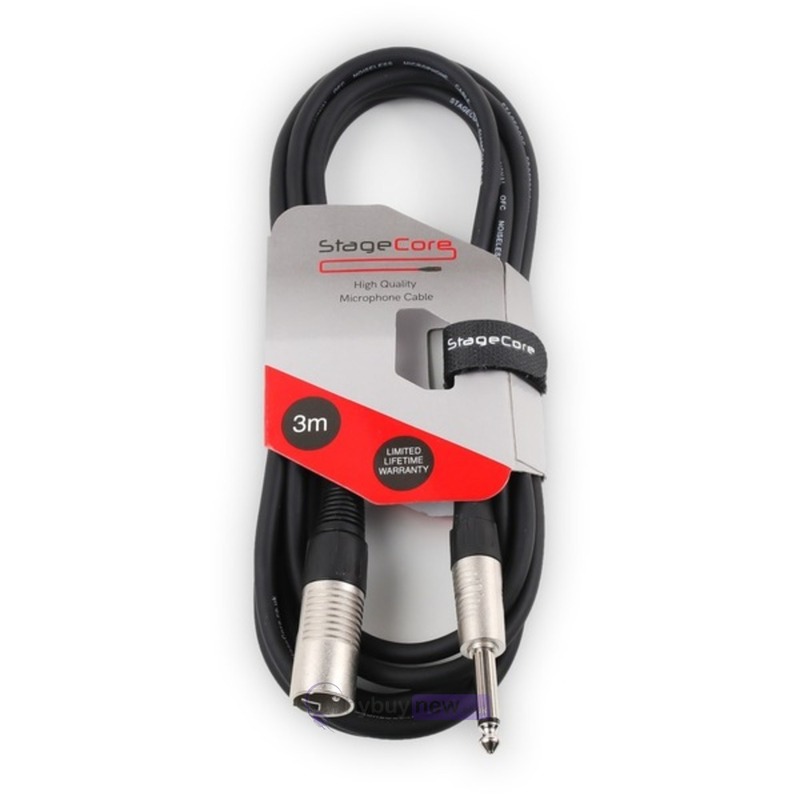 The StageCore 6.35mm Mono Jack - Male XLR Professional Audio Cable is a high quality black microphone cable with a 14" mono jack plug and a male 3-pin XLR connector. 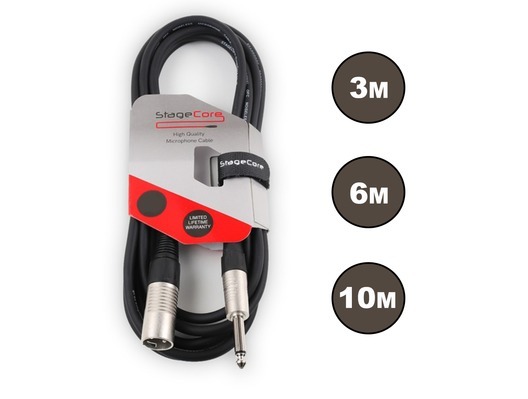 Reliable and robust, it is perfect for connecting a microphone to any device with a mono jack input/output.